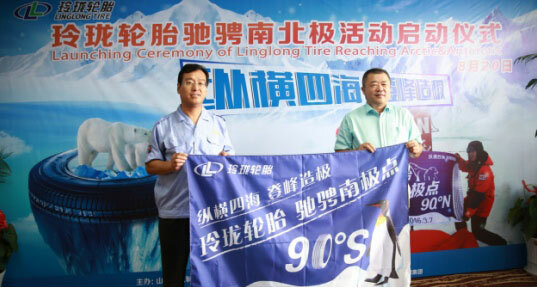 On August 21, 2016, "the launching ceremony of Linglong Tire reaching Arctic & Antarctic" was held in Linglong Tire. Ju Hang, Chinese famous photographer and polar explorer, Li Hongmei from sdchina. com as well as Mr. Wang Feng, Linglong Tire’s chairman, attended the ceremony. During the ceremony, Linglong specially appointed Chinese famous polar photographer, Mr. Ju Hang, as the polar ambassador of Linglong Tire and hoped that Mr. Ju could combine explore’s spirit of exploration and Linglong Tire’s fighting spirit and spread it to the whole world! As the farthest place to human and one of the most difficult to conquer areas on earth, Arctic & Antarctic attracts numerous explorers with severely cold natural environment. 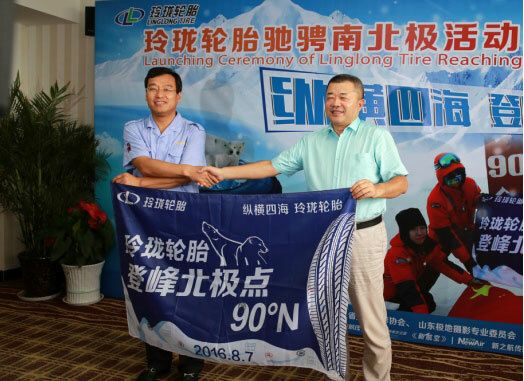 At the beginnig of August in 2016, the flag of Linglong Tire standed on the North Pole for the first time, which was also the first domestic tire brand appearing on the North Pole! For many years, as the pioneer of domestic tire brands, Linglong Tire has been insisting on science and technology and invested a lot of manpower, material resources and financial resources to overcome the technical difficulties in tire production. 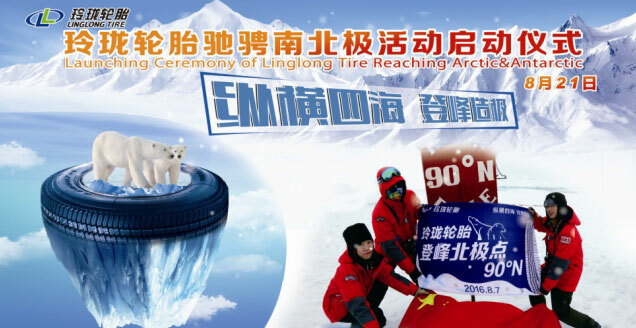 Mr. Wang Feng pointed that the aim of the launching ceremony of Linglong Tire reaching Arctic & Antarctic was to learn the dauntless spirit of global scientists and explores to produce the all-weather tires, which could make Linglong move forward to the peak of tire industry!